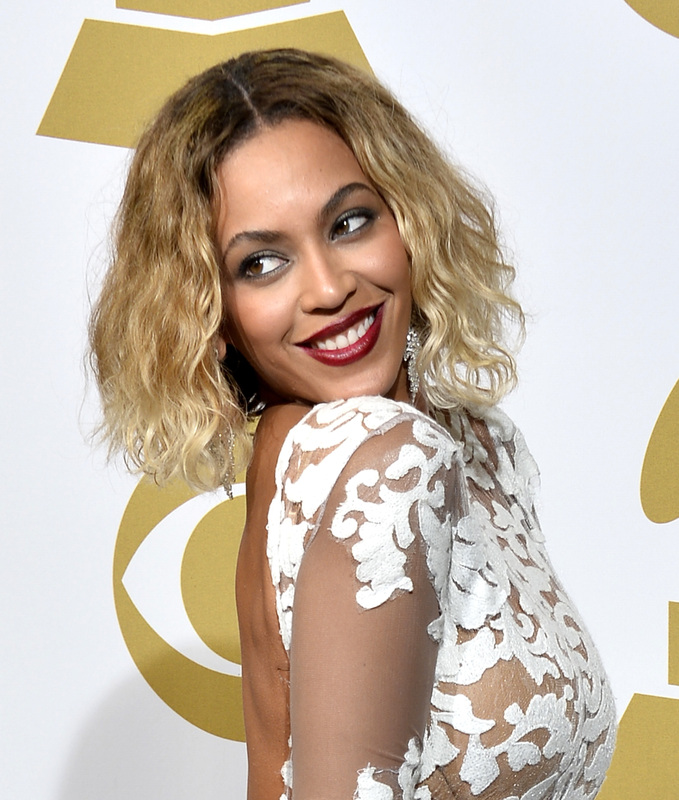 iTunes Is Preparing For Another Top Secret "Beyoncé-esque" Music Release: Who's the Artist? We all remember where we were on Friday, December 13, 2013: the day Beyonce surprise released her fifth studio album to iTunes without so much as a peep to her fans or the general public. I’m not even a big Beyoncé fan, but I was so excited, I plopped down a cool $15.99 for the album before even listening to a thing! (I mean, c’mon, it came with 14 songs and a whopping 17 music videos!) As soon as the dust settled and the official numbers were in (the album sold over 600,000 copies in just three days), it was clear that other artists would attempt to recreate Beyoncé’s groundbreaking release strategy. But who would be the first? According to an article published by Digital Music News early last week, iTunes is currently preparing for another “massive, Beyoncé-esque exclusive” music release…but they won't name the artist! There are a number of major artists who are working on new material right now, so I think it’s time to play a little guessing game! Let’s get started. Could it be Madonna? Madge was working in the studio with in-demand Swedish DJ and producer Avicii a few weeks ago. She even posted a picture of the two on her official Instragram with the caption, “The End of a long week with Viking Leader AKA DJ Virgo AKA Avicii! So many great songs! #icantwait #revolution.” Then, a few days ago, she posted some possible lyrics and what appears to be artwork for a new song called, “Rebel Heart.” It certainly seems like new music is coming soon! Is it her? Or could it be Nicki Minaj? The queen of rap features has been working on the follow-up to 2012’s Pink Friday: Roman Reloaded for a while now, and even said in a recent radio interview that her new album won’t have a release date — we won't know it’s coming until “it just comes.” Hmm. Suspicious, indeed! But what about Lady Gaga? True, Gaga just released her last album, ARTPOP, at the end of last year, but a recent cryptic Instagram post of an empty studio with the caption “Were baaaaack” from long-time collaborator DJ White Shadow has led some Little Monsters to believe that she’s already working on a sequel. Plus, Gaga was photographed leaving a recording studio at the end of February. Just what is she plotting? Then there’s Katy Perry. Perry’s frequent partner-in-crime producer Dr. Luke tweeted two weeks ago about an amazing studio session with the singer. And just a few days ago, producer Greg Wells (“Waking Up In Vegas”) alluded to a studio meet-up with the California girl. Suspicious. Again, Perry’s third studio album, Prism, did just come out last October, but in 2012 she re-released Teenage Dream with brand new material. Could she be gearing up to do it again? Maybe it’s Lana Del Rey. The indie pop songstress recently revealed that she’s been working on her new album, Ultraviolence, with Dan Auerbach of The Black Keys (Auerbach picked up a Grammy Award in 2013 for Producer of the Year). She even hinted to fans at the beginning of February that the album might be released in May. Del Rey starts her North American tour in April, so new music can’t be too far behind! Or maybe, just maybe, it’s Rihanna. 2013 was the first year Rihanna didn’t release a new album since 2009. Whoa — that’s a lot of music. She deserved a break! But the Barbadian pop superstar hasn’t exactly been slacking off since the release of her last album, 2012’s Unapologetic. In between clubbing and exotic vacations, Rihanna's been busy touring (recently announcing a new mini-tour with Eminem) and running around with her on-again, off-again beau Drake. But recently, she’s been back in the studio with producer The-Dream (of “Umbrella” fame). Could Rih be the one who’s cooking up a surprise release for her fans? The aforementioned Digital Music News article admits that a release with a “well-orchestrated, pre-release notification to fans” is "more likely" than a “flat-out surprise” like Beyoncé’s, but the album in question will reportedly be a “healthy mix” of audio and visual content. Intriguing. Hopefully pop fans won’t have to wait too much longer to find out some details. Who do you think the mystery artist is?